The moving time is getting closer. You have already set the date and time. And you are wondering how to organize the packaging, and how long it takes. If packing some things does not bring any particular problems, packing your garage can cause a headache. How to pack your garage? Below are the tips to finish this task, both for you and for the local movers NJ that will help you with your move. How to prepare the contents of the garage for moving? Packaging at the last moment is not desirable. 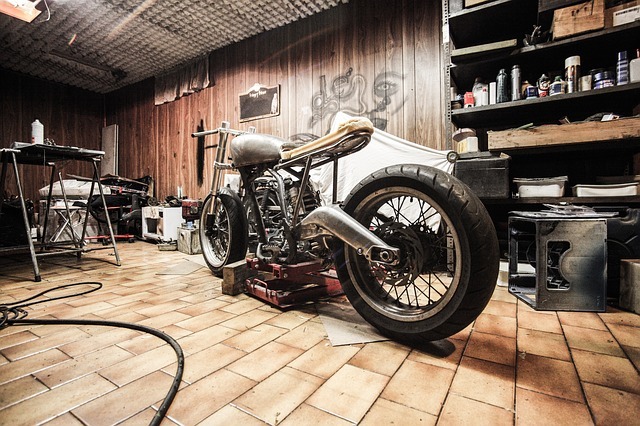 Depending on the size of the garage, give yourself the right amount of time. Thus, you will avoid unnecessary stress, and you will be able to perform everything accurately and wisely. 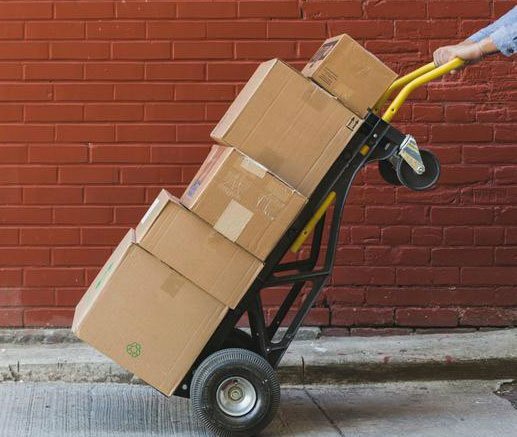 Buy thick cardboard boxes for moving, preferably of different sizes. They are available in good stores with packaging materials. Thin cardboard boxes from hypermarkets may not be useful when you pack your garage. You will also need additional materials such as bubble wrap and adhesive tape. When it comes to packing fragile items that are easy to break, wrap them in a bubble wrap and only then pack them in cardboard boxes. Remember, you should pack heavy objects in small boxes. Therefore, you will simplify their subsequent movement. More valuable things, such as bicycles, snowboards or other things from the garage, you can wrap in old blankets, if you have some. Bubble wrap is also suitable for this. However, you need to wrap everything carefully with a sticky tape. That way, we avoid slipping the wrap from the object during the relocation. You should pack keys and screwdrivers in tool boxes designed for such purposes. And if you do not have them, you can pack them in flat cardboard boxes. What should you pay attention to when you pack your garage? You probably have not moved your lawnmower since you bought it and brought it home. And it was neatly packed in a box at that time. Fortunately, moving the lawn mower a second time is not as difficult as you could imagine. Before you move, you can also mow the lawn for the last time, hoping to empty the gas tank. So, you do not need to worry about draining the gas. 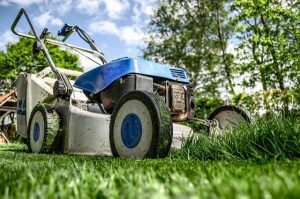 Assuming that the gas cylinder is empty, disconnect the spark plug so as not to accidentally start the mower. Then drain the oil from the lawnmower. If there is any gas in the tank, pour it to a safe gas container. Close the lawn mower blades with adhesive tape or completely remove them to ensure a safer transport. Then simply put the mower into a moving truck and you are ready. If you have a gas trimmer, first release the gas into another container to avoid a dangerous spill. You can pack your trimmer in a box along with any extra lines. Or simply transfer it into a moving car without a box. If you really take care of your tools, a trim wrapper in a bubble wrap can prevent any scratches during transportation. Similarly, pack the gas leaf blower or snow blower. For power tools, secure the cord on the appliance with a zipper before packing the instrument into a box or loading it into the truck. If you have a key to run it, make sure you remove it too. 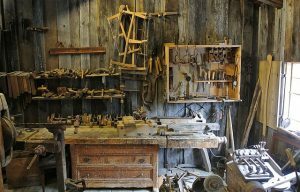 If you have heavy tools for woodworking, such as a table saw, a drill press, a band saw or a planer, you have several options for moving these items. Moving experts recommend contacting builders, professionals with the necessary equipment to move heavy objects. If you want to do this yourself, you can dismantle thinner components such as a table on a band saw. Both to reduce the weight of the base of the product, and to protect these parts. Wrap the parts separately in a bubble wrap and pack them in marked boxes for easy reassembly in a new home. To move tools to a moving truck, you can get mobile platforms. Build the base, which will allow you to turn the tools straight out of the garage and onto the moving truck. That platform can also be useful with other large things when you are packing your household. Wrap the hand tools in a bubble wrap in order to protect them from scratches. 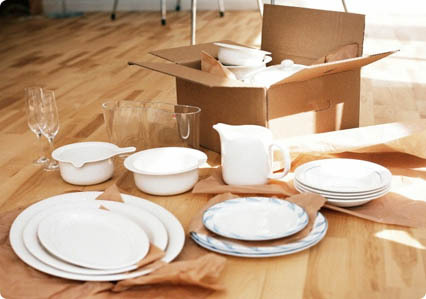 Then pack them in boxes just like any other household items, holding heavier objects on the bottom. Use zippers to secure any cords on power tools. Disconnect batteries from wireless tools, but keep tools, their batteries and chargers in one box, if possible. Keep small hand tools unpacked in a separate bag or in the tool belt, for dismantling furniture and reassembling in a new location. Your screwdrivers, Allen keys, adjustable wrench, set of sockets and wireless drill are likely to be your best friends during your movement. If you move an instrument bench or a large tool box, you will need a moving truck with a ramp or a lifting line that sinks to the ground. That will allow you to turn the goods straight to the truck. You have several options for moving the instrument bench. You can use fasteners to keep the boxes in place or lock them if you have this option. If you do not have a ladder to navigate, and you just wheel the toolbox a short distance, this is the easiest way. If you need to move the toolbar to the top or pick it up on a moving truck, you need to empty the drawers and move each part separately. Wrap the boxes in bubble wrap or moving blankets, and do not forget to also wrap the toolbox. Tool boxes are investments, like any other furniture in your home. And you do not want the box to be scratched, damaged, or dented in motion. 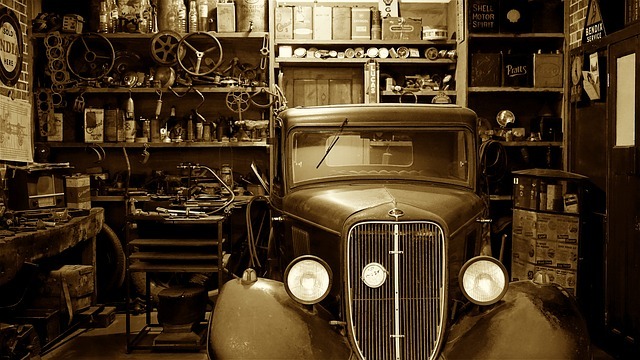 What to do after you pack your garage? Garage packing is not easy and it requires a lot of effort and time. You need to plan everything carefully, in order to get all your stuff in perfect shape. But, once you pack your garage, the next thing you should do is to hire Jersey City movers. They will make sure that your garage content comes to your new place safely.